The Fairhaven board of directors is pleased to announce and invite the community to its groundbreaking ceremony for the new Prairie Village Community Center, located at Prairie Village on County U and Fremont St, on Wednesday, June 27 at 1:00 pm. The new Prairie Village Community Center is scheduled to open in the summer of 2019. It is designed for the residents of Prairie Village to be accessible and architecturally pleasing both inside and out, fitting the prairie setting. The Community Center will be approximately 8,000 sqft that includes a resident community gathering hall, catering kitchen, refreshment area, fitness room, game room, four season sunroom, and two outdoor patios. 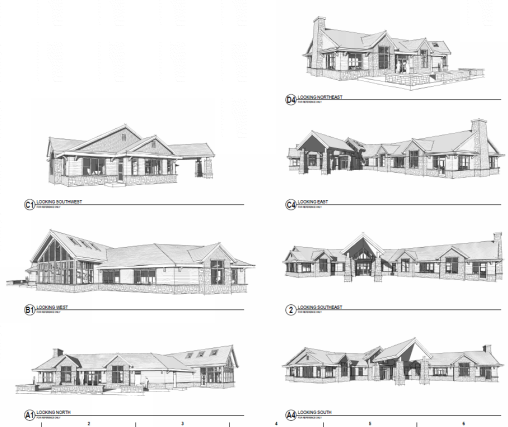 This year, Prairie Village has opened 25 additional sites/50 units for development. 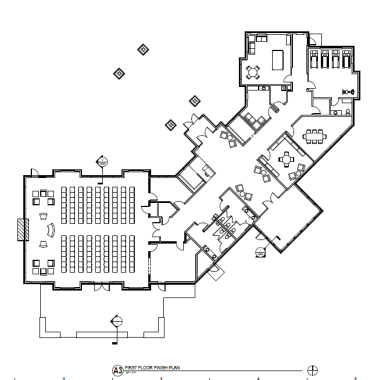 Eppstein Uhen Architects of Milwaukee was selected to design the Community Center with input from residents and Fairhaven board. Martenson-Eisele of Menasha, WI is the site engineer and Ehlert Construction and RR Walton, along with many other contractors from the area, have been selected for the project. The Whitewater Arts Alliance is enthusiastically seeking artists to participate in the “Making Magic with Mixed Media” show at the Cultural Arts Center, 402 West Main Street, during the month of August 2018. Show organizers are looking forward to receiving a wide variety of entries from artists working in 2-D or 3-D. In this first-of-its-kind show at the Whitewater CAC, mixed media is broadly defined to include the creation of pieces of art using more than one medium — acrylics, oil, watercolor, pastels, pen and ink, pencil, etc. — to acrylic with collage, oil and cold wax, assemblage, etc. The options can be as narrow or broad as one’s imagination. The Whitewater Arts Alliance is excited to provide a showcase where this magical art will be featured and celebrated. The entry form can be found at http://whitewaterarts.org/PDFs/WAAMixedMediaEntryForm.Final.pdf There is no entry fee for this exhibit. The goal of this exhibit is to stimulate interest in mixed media among our artists. Artwork must be completed within the last two years and not previously exhibited at the Cultural Arts Center. “Making Magic with Mixed Media” will run from Thursday, August 2 to Sunday, August 26. The CAC will be open from Noon to 5 p.m. every Thursday, Friday, Saturday, and Sunday during that time. The closing reception will be held at the CAC on Sunday, August 26 from 1 to 3 p.m. Artists may pick up their pieces after the 2:30 p.m. awards presentation. These demos are free, and no reservation is required. However, for planning purposes, the instructors would appreciate your letting us know if you plan to attend. Please email Linda Long (Lcubed12@gmail.com) or call 262-473-5538 with the demo(s) of interest to you. Anyone interested in entering the show should go to www.whitewaterarts.org, print off the Entry Form, complete it and send it to the Whitewater Arts Alliance, P.O. Box 311, Whitewater, WI 53190, postmarked on or before July 18th. All art should be dropped off at the Cultural Arts Center between 4:30 and 6:30 p.m. on Monday, July 30th. WAA members may submit four pieces; non-members, three pieces. 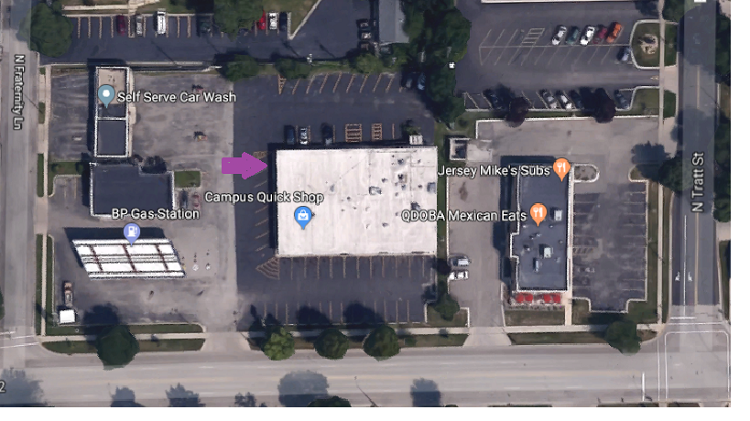 A home-grown effort to build a community grocery store in Whitewater took major steps toward realization of their goal with the establishment of a local workspace for project planners and the distribution of results of a feasibility study. Whitewater Grocery Co., a 350 plus member-owned cooperative business established to fund and build a full-service local grocery shopping option for area residents, has leased office space in the Whitewater Innovation Center. 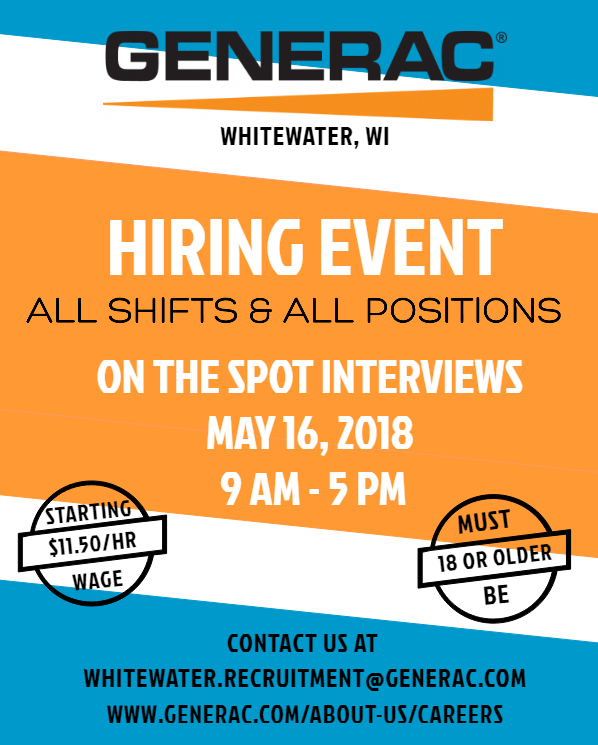 Lacey Reichwald, President of the Whitewater Grocery Co. Board of Directors, explained that local support for the effort has reached the point where its Board of Directors and volunteers need a dedicated workspace. “We are really excited that the Whitewater Innovation Center has agreed to lease us office space as we ramp up our efforts,” said Reichwald. She also announced that they will be sharing the results of a study that supports the Whitewater community’s ability to support a new grocery store at several upcoming community meetings. “At this point in time we are focused more on the “what” than the “where” of our new venture,” said Reichwald. The organization, which now has more than 350 owners, is in Stage 2a Feasibility and needs to get to 500 owners before moving to the next step of the development process. Individuals are asked to make a one-time payment of $150, or $25 installment payments for six months, to become vested as an owner. Once the store opens, anyone will be able to shop at the store, but owners will receive extra benefits, including special owner sales and discounts. When Whitewater Grocery Co. makes a profit, the Board of Directors may decide to give a dividend, or money back, to its Owners. “Our study indicates the viability of a full-service grocery store with a roughly 10,000 square foot shopping area, similar to the floor space of the Aldi Food Markets found in many Wisconsin communities,” added Reichwald. 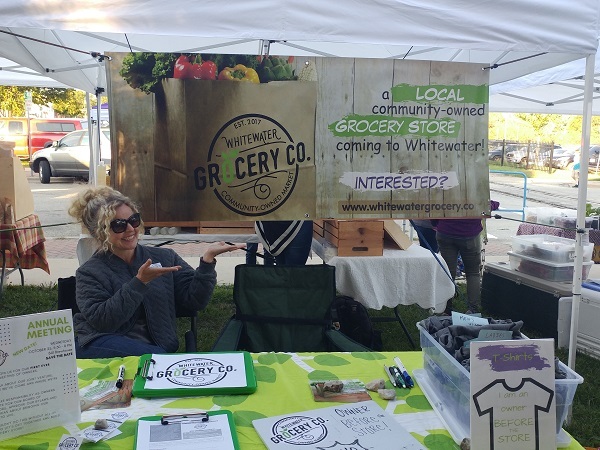 She pointed out that getting to the local investment level represented by 500 owners allows Whitewater Grocery Co. to proceed to the next feasibility stage, 2b Planning, where they will finalize the business plan, start researching supplier options and distribution networks in earnest, and begin site analysis. 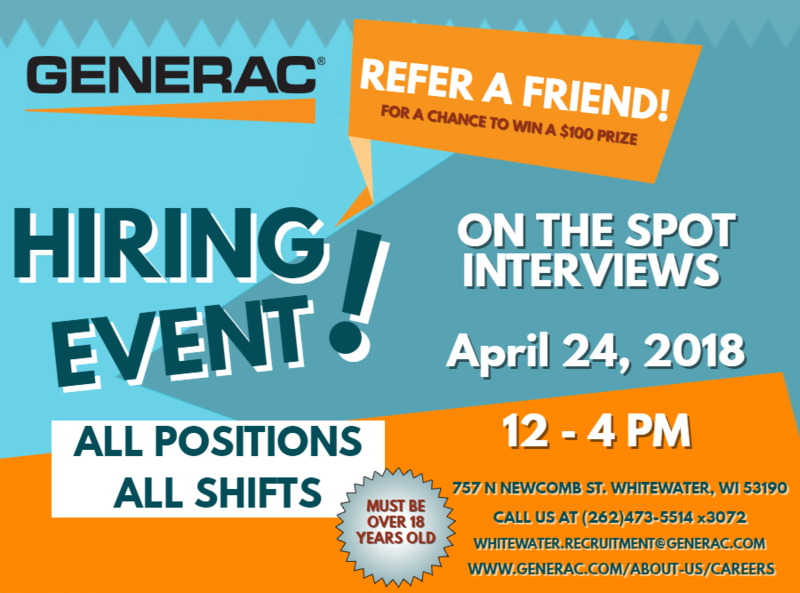 Whitewater Grocery Co. will host an open house at the new office on Saturday, May 5. The new office location at the Whitewater Innovation Center, in Suite 118, is part of the eastside Whitewater Technology Park. Willow Brook Golf Course, formerly Whitewater Country Club, is set to open Saturday, April 21st at 7 am. The nine-hole golf course is open to the public. 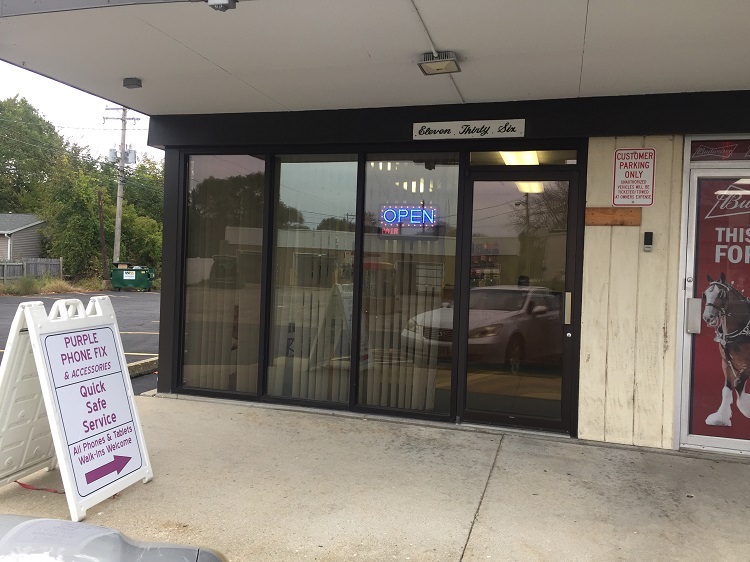 They will have a full-service bar available during regular business hours and a basic lunch and dinner menu consisting of burgers and wraps. Business hours are 7 a.m. to 10 p.m. every day. Banquet services will also be available. Call 262-473-3305 or email willowbrookww@gmail.com for more information and for availability. 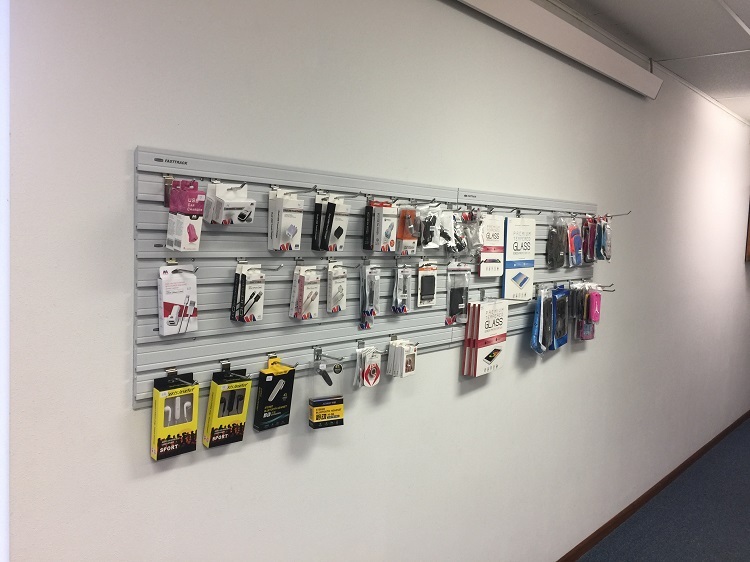 For updates and more information on pricing visit their Facebook page. The City of Whitewater may soon have a new tool in promoting economic development within the community. Last week, Governor Scott Walker nominated two areas of the community to be named as Economic Opportunity Zones (EOZ). “This new EOZ program allows for private investments to be made, with significant tax benefits, in lower income communities like ours that need a boost to their economy,” said Larry Kachel, Chair of the Whitewater Community Development Authority (CDA). The CDA nominated three Low Income Census Tracts for the EOZ designation. Two of the three were selected by Governor Walker and forwarded on to U.S. Treasury Department for review and final certification, along with 118 proposed zones statewide. “Adding the EOZ designation to our economic development toolkit puts us in an even better position to attract new business and jobs to our community,” said Dave Carlson, Executive Director of the Whitewater CDA. The Whitewater CDA also has a revolving loan fund (RLF), a Capital Catalyst fund that provides grants and loans to startup businesses and the ability to use Tax Increment Financing (TIF) to stimulate development. 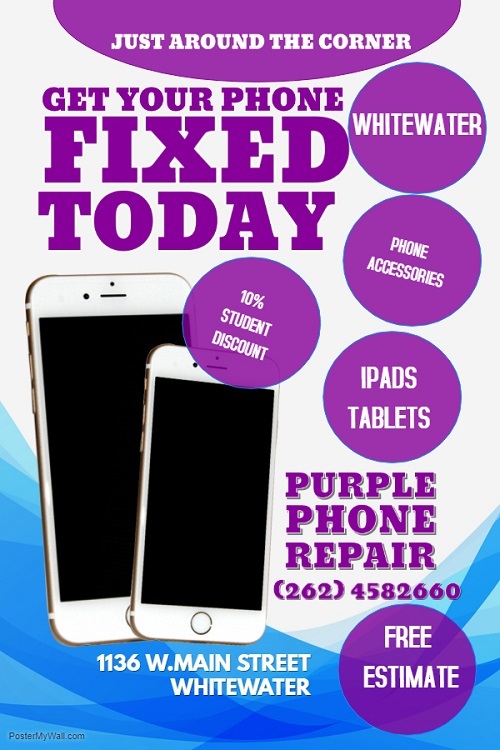 The Whitewater Community Development Authority is the economic development organization for the City of Whitewater. It exists to encourage and help people and businesses invest in the City while creating jobs, increasing the tax base, and improving the community’s quality of life. Girl Scouts of Wisconsin – Badgerland recently unveiled its 2018 camp season – featuring double the programming, expanded overnight options and themed day camps. Any girl in kindergarten through twelfth grade can attend Girl Scout camp. To register for Girl Scouts and sign up for camp, see www.gsbadgerland.org. For the first time ever, all resident campers in kindergarten through fifth grade will hop on the bus and adventure to Camp Ehawee in La Crosse County for up to five nights. Not only will they get to explore a new place, but each week has a different theme, like “Mess Makers”, “Build It. Break It. Blow It Up!”, and “Hogwarts: An Intro to Magic”. Badgerland is also introducing one-night “My First Sleepaway” camp options at Camp Ehawee and Camp Brandenburg in Dane County to give girls in kindergarten and first grade a taste of camp life. Troops can also attend camp together at Camp Black Hawk in Antigo, Wis. Girls in sixth grade and higher can choose from four new adventure camps designed around G.I.R.L. (GoGetter, Innovator, Risk-Taker, Leader) themes and challenges. Resident campers will camp at Camp Evelyn in Sheboygan County and Camp Manitou in Manitowoc County. 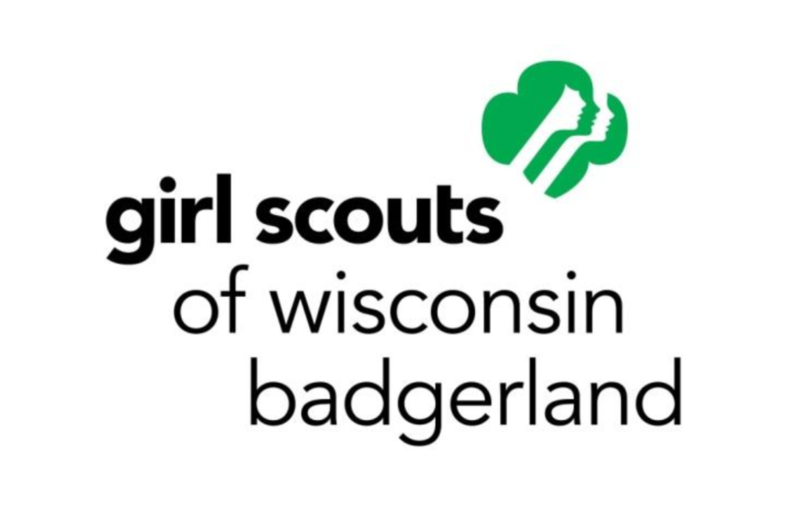 Girl Scouts of Wisconsin – Badgerland Council serves 23 counties in south-central and southwest Wisconsin, as well as Houston County in Minnesota and Allamakee County in Iowa. 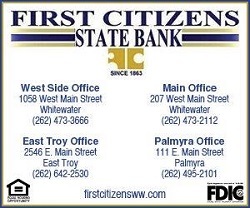 Its service centers are in Madison, Janesville, Platteville and La Crosse. More information about Badgerland Girl Scouts can be found on its website: www.gsbadgerland.org.